The Fold has begun construction on its patio area to turn the space into a convertible dining area. That means you’ll be able to enjoy the enclosed patio when it’s cold outside, and the restaurant will open it up for the warmer months. As to what the finished reveal will look like, general manager Abbey Rolfe says they’re keeping some of the details a surprise. However, she did tell me it will be done in about a month. The Fold will be open for business as usual in the dining room while construction goes on. Whiskey lovers, you won’t want to miss a special dinner taking place next week at Capital Bar and Grill. On both Wednesday and Thursday, the restaurant is offering a rare bourbon dinner with pours that are extremely difficult to find. The lineup includes several age varieties of Pappy Van Winkle, some special Four Roses bourbons, Old Forester birthday bourbon and 12-year Elijah Craig bourbon from a barrel that CBG purchased years ago. The bourbons will be served before and during a three-course meal prepared by CBG executive chef Marc Guizol. Tickets are $125 for the event and can only be purchased by calling 501-370-7068. Izard Chocolate is putting its roasting machine to use for more than just cacao nibs. Nathaniel Izard and Stephen Reimar have started a new roastery called Redbeard Coffee Roasters. The two have started with two different coffee varieties, though more are on the way. Instead of picking up the coffee yourself, you place the order on the website and it gets shipped to your door. Redbeard roasts coffee weekly to make sure it is always fresh. The roasted coffee beans will run you $14 for a 12-ounce bag. After having to close for nearly two months, Capers Restaurant in West Little Rock is open again during its regular business hours. Capers closed after a sprinkler line burst, flooding the restaurant and leading to some substantial water damage. Ownership decided to take the opportunity to make some updates and renovations in addition to fixing the water damage. They’ve even created a few new menu items to lure guests back. Capers is open for lunch and dinner Monday through Saturday, and is closed on Sunday. USA Today newspaper is running a contest to determine the best pimento cheese in the state of Arkansas. Four food writers (myself included) came up with 20 nominations from around the state, and now it’s up to the public to vote on their favorite. After voting ends April 10, the top half will be named to USA Today’s 10Best list. You can vote once a day, so make sure to visit often to make sure your favorite pimento cheese is honored. The new Buenos Aires Grill and Cafe is ready to open this week. The Argentinian restaurant will open for lunch tomorrow (Thursday) in the former Jaunita’s Rivermarket location at 614 President Clinton Ave. Despite the recent cold snap, spring is soon coming to Little Rock. Big Orange has a full lineup of new spring cocktails, which we examined this week (the Copita Roja sounds like it’s right up my alley). 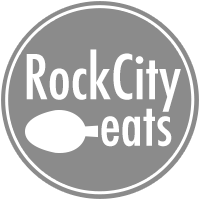 Little Rock’s food scene has been blessed with a bevy of young, hungry talent driving quality and innovation forward. We highlighted Kamiya Merrick from At the Corner as the latest addition to our Rising Stars series. 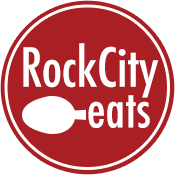 We’re in the middle of Little Rock Black Restaurant Week, which we at Rock City Eats hope that you will support. Here are some of the participating restaurants and a note from us on why the week is important. Ristorante Capeo’s weekly special is Cioppino Fish Stew. The risotto of the week is made with sausage and mushrooms.